"Selling is identifying and satisfying customer needs profitably. Profitable for you, profitable for them." This is the definition of sales used throughout Ed Shane's comprehensive and timely textbook Selling Electronic Media. This new definition reflects the customer-orientation of today's marketing environment as well as the product-orientation of selling. Today's selling is a win/win proposition, a win for the seller and a win for the customer. 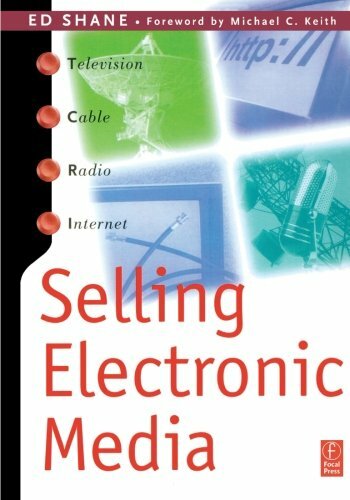 Focusing on the merging and converging of electronic media and the need for branding of media at all levels, this highly readable book offers complete coverage of advertising sales for radio, television and cable, plus the new and emerging mass communication technologies, primarily those generated by the Internet. Selling Electronic Media is enhanced with review highlights and discussion points and illustrated throughout with visuals used by media outlets to market commercials and their audience reach. Students pursuing sales and marketing careers in electronic media and professionals wishing to reinforce their understanding of the merging and converging media environment will find what they need in the pages of this book. View More In Recording & Sound. If you have any questions about this product by Ed Shane, contact us by completing and submitting the form below. If you are looking for a specif part number, please include it with your message.